Xiaomi has unveiled two new value-added Internet services in India. Called Mi Music and Mi Video, the two services were unveiled during the Mi Pop Play event held in Mumbai. 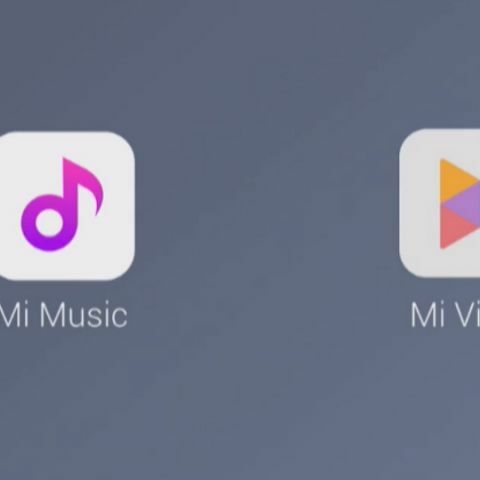 As the names would suggest, Mi Music is a pre-installed music app that offers an integrated music streaming service and lets users store offline music. Mi Video is a pre-installed video app that aims to integrate video streaming across platforms. Mi Music comes with Hungama Music and offers 10 million freemium tracks across 13 indic languages. The service offers unlimited free lifetime music streaming and users can also integrate local music into the device. The app also comes with a Dynamic Lyrics feature in which offers a ‘karaoke’ experience, wherein the lyrics of the song are displayed and are scrolled through as the song progresses. In order to download music, users will have to purchase the Hungama Pro package from within the Mi Music app. The package costs Rs 899 per annum. Mi Video is designed to be a platform for video content aggregation and is currently powered by Hungama Play, SonyLiv and Voot. The company has promised that more partners will be added soon. Xiaomi claims that Mi Video offers over 5,00,000 hours of content out of which nearly 80 percent is free. The service currently offers 12 video formats. These include AVI, MP4, MOV, MKV, MKA, MPEG, M2TS and more. Mi Video also offers support for multilingual subtitles, private folders and multiple audio tracks. Further, it can be used to cast to any Smart TV with DLNA and Miracast support.